Fashionate Photography WordPress Theme suitable all type projects but especially you can use as Photography, Portfolio, Business etc. Automatically Lifetime Updates for Free! Powerfull & Unbranded Admin Panel! Fashionate Photography WordPress Theme includes extended and advanced theme options panel in Fashionate WordPress theme. 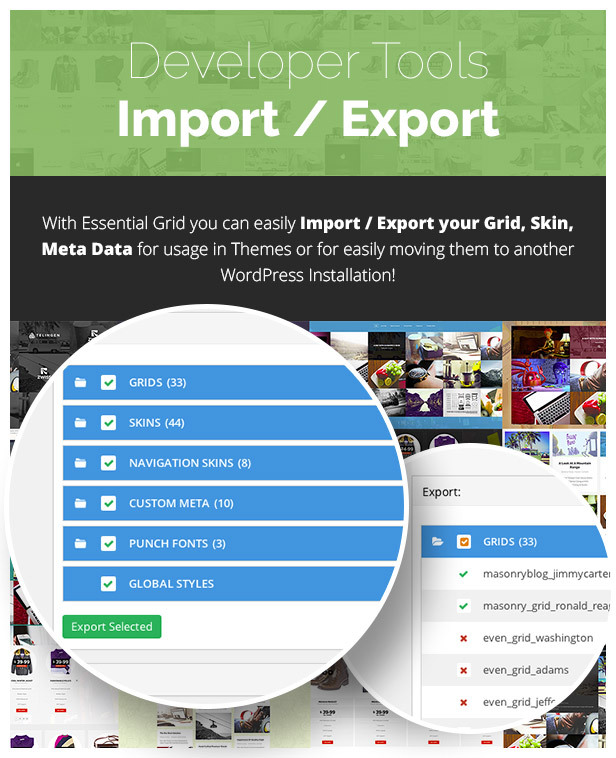 Essential Grid Included – Save $26 Essential Grid is a premium plugin for WordPress that allows you to display various content formats in a highly customizable grid. 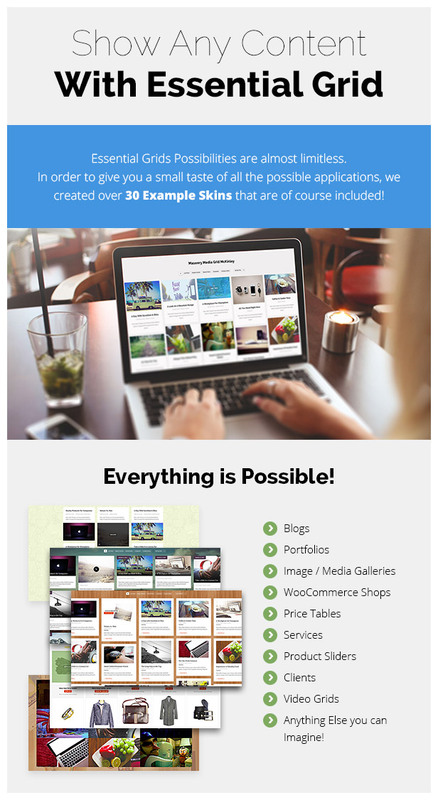 Possible applications range from portfolios, blogs, galleries, WooCommerce shops, price tables, services, product sliders, testimonials and anything else you can imagine. 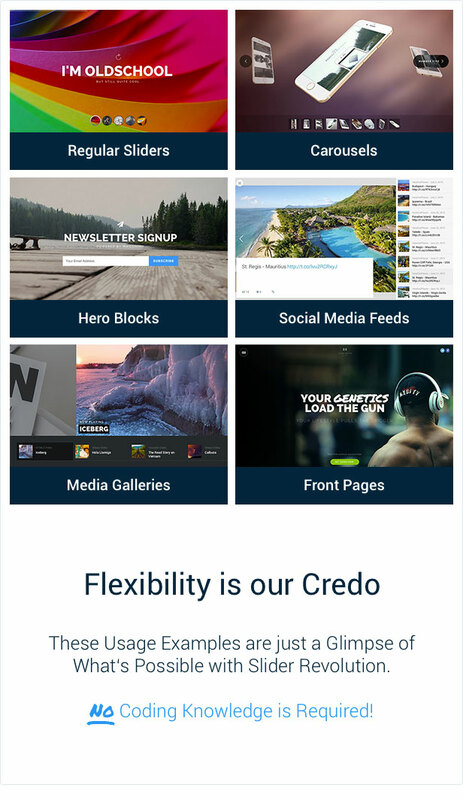 Visual Page Builder – Save $15 Toro WordPress Theme comes with $15 worth Visual Composer and you will create your content more impressive more effective and more valuable! Visual Composer is a Frontend and Backend Drag and Drop page builder. And LastPoint included it in theme package! 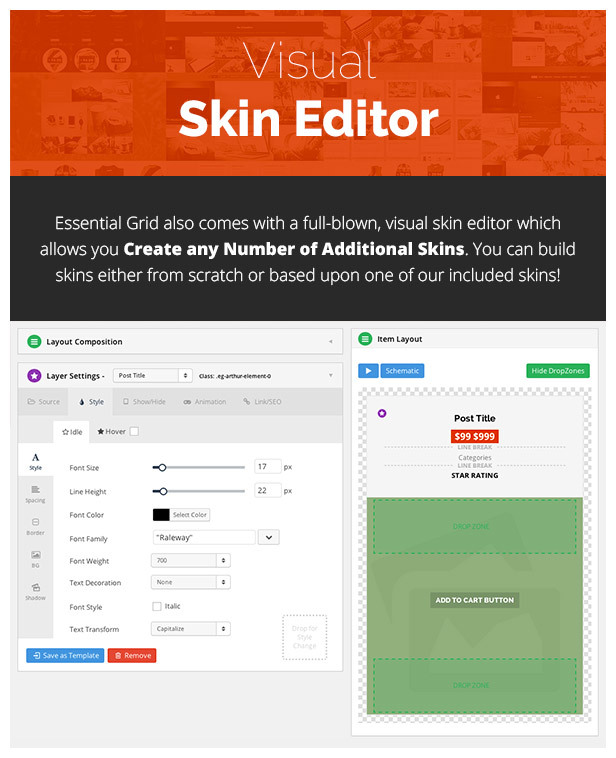 Ultimate Addons for Visual Composer – Save $15 Theme comes with $15 worth Untimate Addons for Visual Composer and you will create your content more impressive more effective and more valuable! 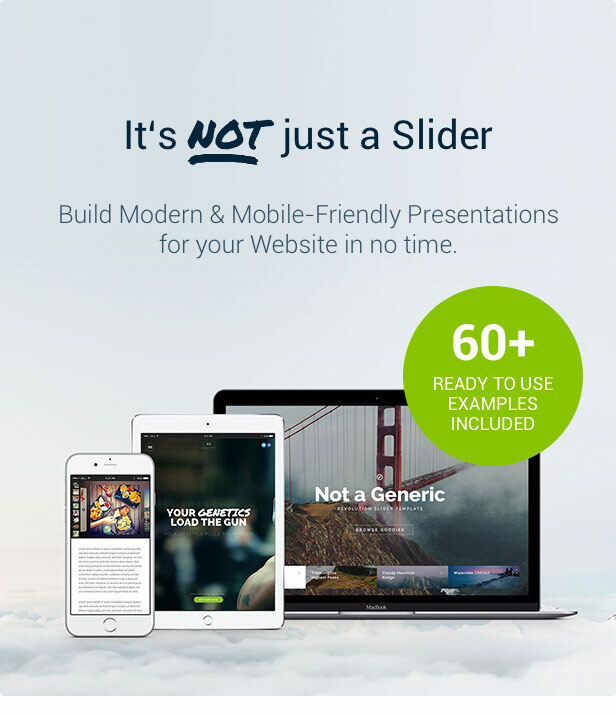 Revolution Slider Included – Save $19 Slider Revolution is an innovative, responsive WordPress Slider Plugin that displays your content the beautiful way. 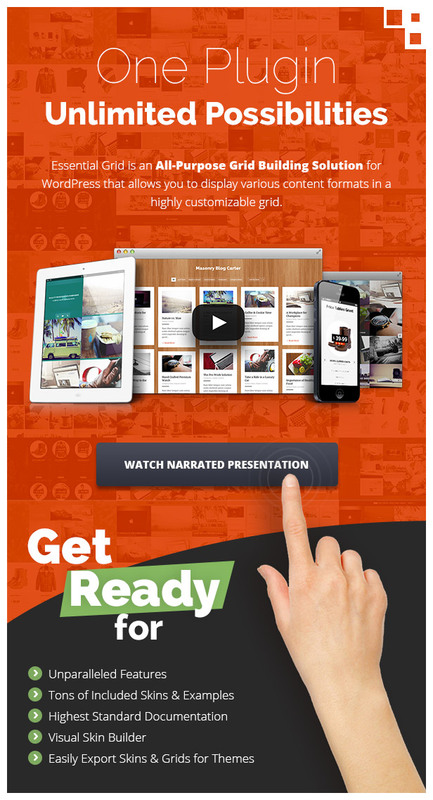 Whether it’s a Slider, Carousel, Hero Scene or even a whole Front Page, the visual, drag & drop editor will let you tell your own stories in no time! Super Easy Installation & Setup You can install Fashionate within a couple of minutes! it will be ready for you via WordPress uploader or via FTP. See detailed installation help video or documentation. Fashionate Photography WordPress Theme Unlimited Skins Possible Fashionate WordPress theme has a lot of options for style and comes with unlimited color options. You can customize it, as your wishes! Fashionate Photography WordPress Theme WPML, Multilingual & RTL Ready! Fashionate WordPress theme translation ready and included with main mo/po/pot files. RTL is built-into the Fashionate. Also theme %100 WPML, qTranslate compatible! Fontawesome & Socicons and Much More Ready! Fashionate WordPress theme included Fontawesome, Socicons, and much more! You can use every part of this amazing addons! Fashionate Photography WordPress Theme Extensive Documentation Fashionate includes extensive and detailed crafted documentation. Every details explained in the documentation if you need. You will access the documentation on the theme options panel. Fashionate Photography WordPress Theme Unlimited Sidebars Fashionate allows you to create unlimited sidebars and use them unlimited areas. You can assign them to any page and any widget. Fashionate Photography WordPress Theme Predefined Widgets Fashionate includes predefined widgets for you. You can use anywhere and anytime. Fashionate Photography WordPress Theme Options Back-up Fashionate includes theme options back-up, restore, import features. You can use this functionality and save your time. Compability Fashionate %100 ultra responsive & multipurpose! Looks perfect, every secreen resolutions, any device and major browsers. Fashionate Photography WordPress Theme %100 Reponsive! Fashionate WordPress theme %100 responsive and multipurpose! Looks perfect, every secreen resolutions and any device. Tested with Android, iPhone5, Nexus, iPad and all other devices! Also compatible with all major browsers. Fashionate Photography WordPress Theme Fully Flexible WordPress Theme Fashionate WordPress theme %100 responsive and multipurpose! Looks perfect, every secreen resolutions and any device. Tested with Android, iPhone5, Nexus, iPad and all other devices! Also compatible with all major browsers. Outstanding 5 Star WordPress Support Fashionate Photography WordPress Theme guarantee under our fast and reliable support team. We care all about your requests and website and works, so you’re the #1 piority for us! This is a very cool theme, I am using it for my acting resume site. 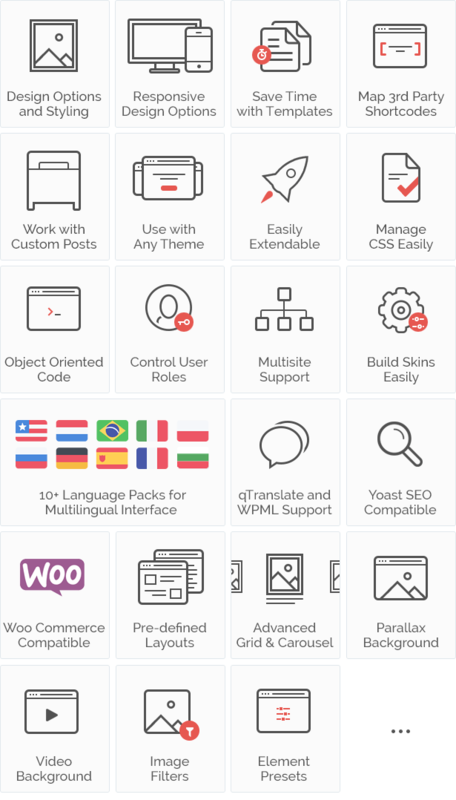 I have a bundle and several Cosmos and Last Point themes and they are all well coded and themeofwp gives excellent support. They have helped me out when they did not have to and issue not related to the theme. I have loads of themes I quit using from a number of other developers and now this company is my main theme developer because I know I can trust them and they will be there for me when I need them.